I recently had some friends over for lunch. 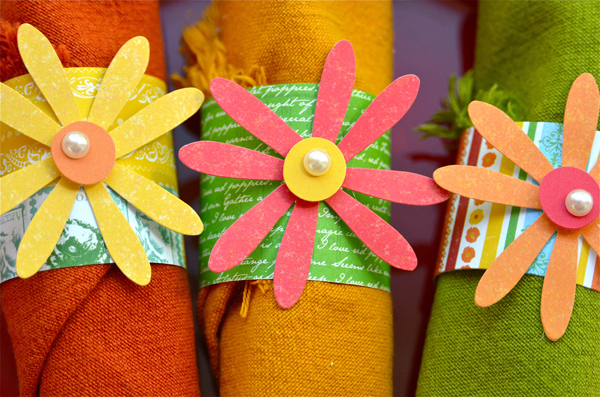 In an effort to make the table look inviting and pretty, I decided to use this month's creative kit from My Creative Scrapbook to make napkin rings. 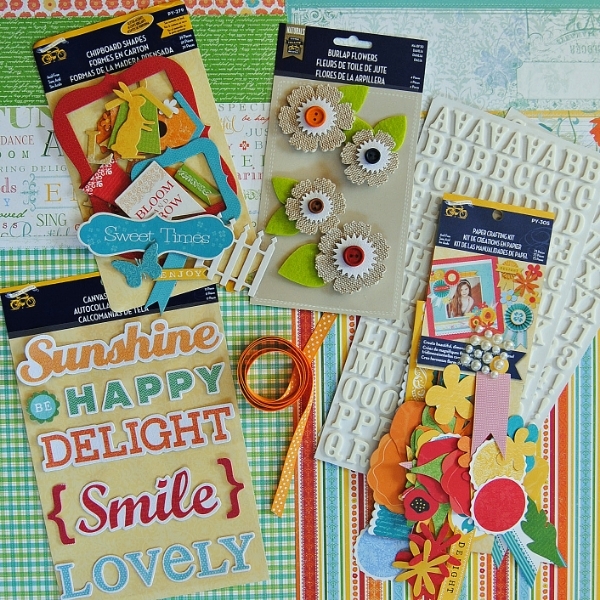 All it took was some strips of patterned paper and diecut flowers (and flower centers) from Little Yellow Bicycle's Poppy collection paper crafting kit. I folded the silverware into fabric napkins I had on hand. 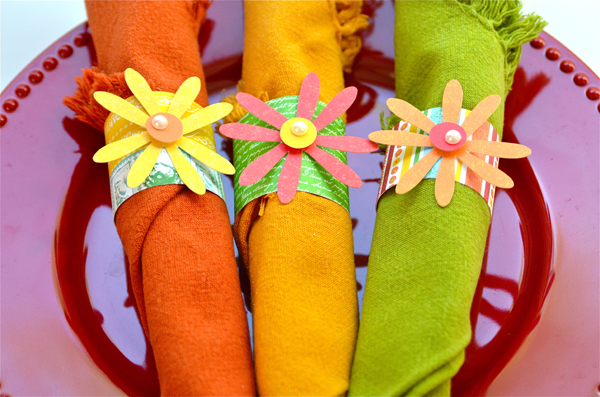 A band of patterned paper, wrapped around the napkin and secured with double-sided tape, helped keep the napkins secure. 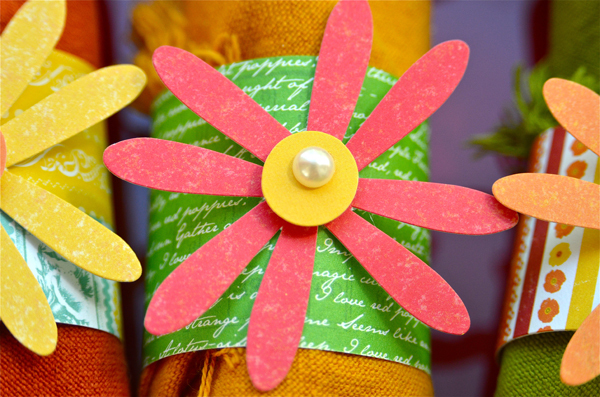 Each band of paper is topped with a diecut flower, diecut circle and a pearl. Here's a look at all of the goodness in the kit I worked with. If you're interested in subscribing, you can view and purchase kits here. See you tomorrow with one more kit project! Wowwwwwwwwww! These are gorgeous!! LOVING those flowers!! So fun and festive. What a terrific idea. Love these, Lisa! Great idea and REALLY cute! Love it Lisa! Love that plate too - I have something similar in white! How fun and festive are they. I love patterned papeer, it's so versatile. These look great. I always have plans to decorate and spruce up my table but I never do. lol Well actually, right now it's decorated with moving boxes. So very festive indeed! Love them! Those are so pretty! Love them! What a gorgeous kit! These are so cute Lisa!! Fun way to dress up your dinner party! They are awesome Lisa! 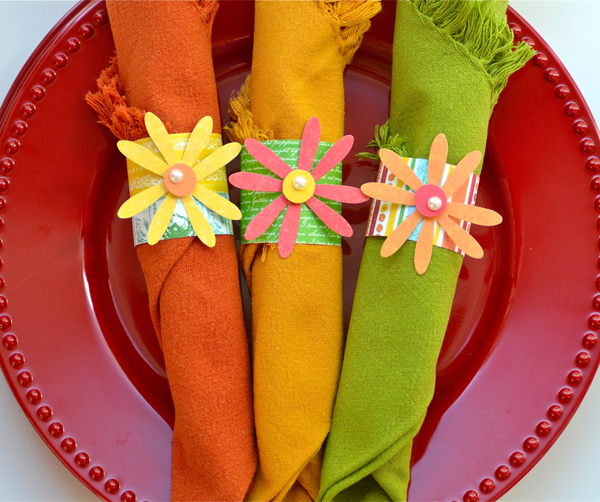 Love the bright colors matching the napkins!